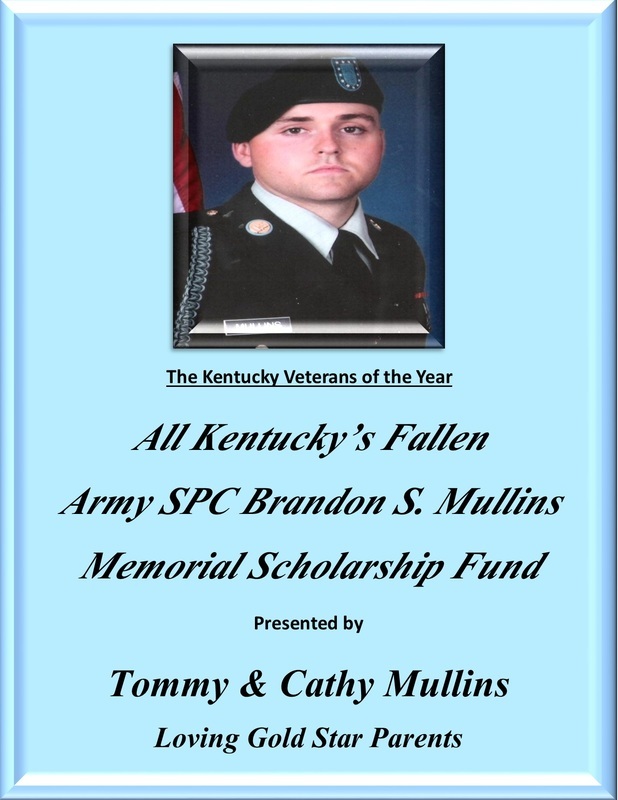 The All Kentucky's Fallen Army SPC Brandon S. Mullins Memorial Scholarship Fund is established to honor 21 year old, Brandon S. Mullins of Owensboro, KY. Brandon was Killed In Action in the Kandahar province, Afghanistan on August 25, 2011. This scholarship, named in Brandon's honor, is a token of the great appreciation we have for him and all our Kentucky Heroes who have given the ultimate sacrifice for our freedoms. This scholarship is open to any Gold Star family member.